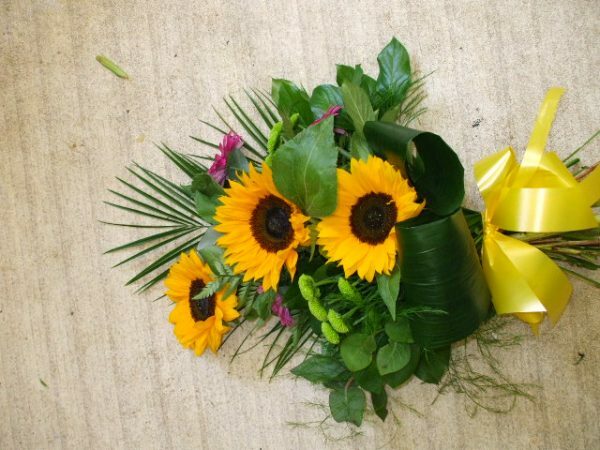 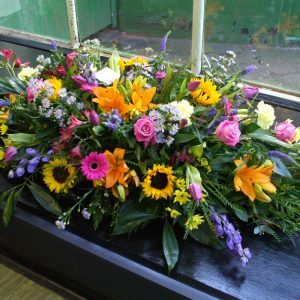 Ideal if you are want a tribute that can be given to a home, hospice or hospital after the funeral as this design is a type of bouquet. 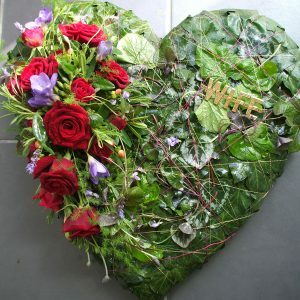 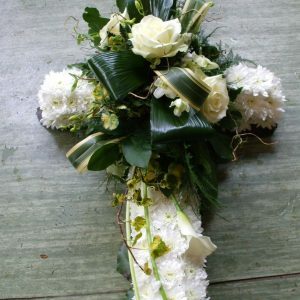 With a raffia bow and no cellophane these designs are also suitable for eco-friendly funerals. 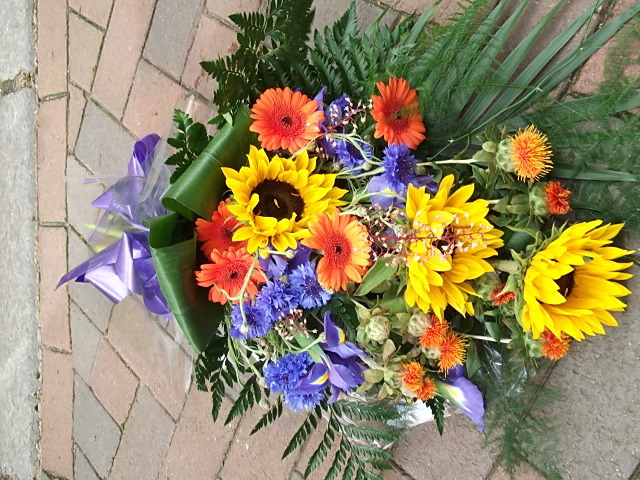 Please specify colour and any particular flowers you would like.